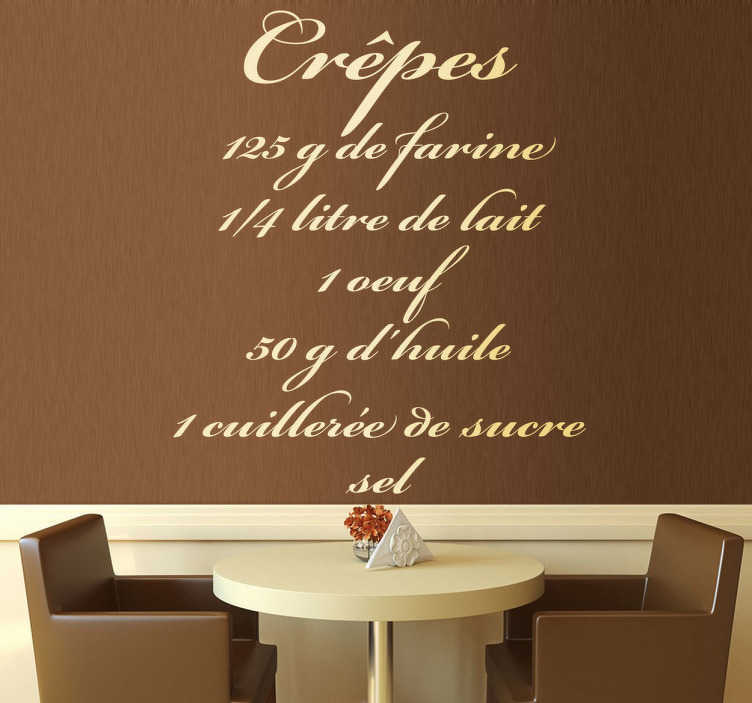 Wall Stickers - French text sticker recipe for crepes .Ideal for homes or businesses. Decorate walls, windows, furniture, appliances and more. Available in various sizes. Made from high quality vinyl. Easy to apply.